East Kilbride Community Trust insist they remain committed to building a new community stadium after Clyde Football Club announced they are re-considering plans to move to the town. The Bully Wee did stress, however, that they are not totally ruling out plans to relocate from Cumbernauld to East Kilbride. East Kilbride Community Trust have been in negotiations with South Lanarkshire Council for three years now regarding a vacant piece of land in Langlands, which was previously earmarked for a new Rolls-Royce plant which never got off the ground. In June, the Trust tabled an offer of £175,000 for the land but that offer was ‘not acceptable’ to SLC who said it did not meet certain conditions attached to the land by the European Commission, from which the authority received a grant of more than £1.8million to prepare the site. But with frustration growing, Clyde are expanding their horizons as they bid to leave their current home at Broadwood Stadium. In relation to the EK move, Clyde’s statement reads: “In response to delays at the proposed Langlands stadium development, the club is again reviewing its options for a long term home. “Progress on the project has slowed to the extent that the club can no longer be confident about the timetable that originally looked very achievable. 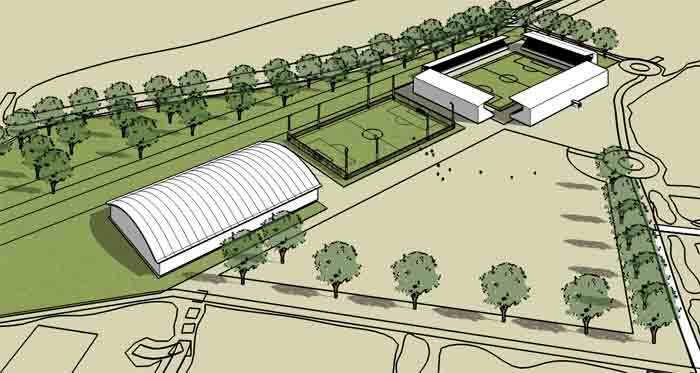 “The club has since agreed with East Kilbride Community Trust that, whilst the Langlands project will continue, the club must now also look at alternatives. EKCT’s £17million proposal for the site includes a state of the art stadium and a second 3G football pitch, while the charity state the project will bring hundreds of jobs to the town during the course of construction and create dozen of posts once building works are complete. A spokesperson for EKCT said: “The Trust is fully aware of, and of course accepts, Clyde’s position on relocation. “It has been the Trust’s intention for some time to create a community stadium primarily for the benefit of the community of East Kilbride and that remains our goal. “Our proposals for various options are with the council who have told us that the council’s executive committee will meet to discuss and decide on these proposals, hopefully, in the near future.